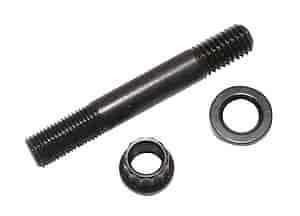 Moroso oil pump stud kits are stronger and better at maintaining torque than factory bolts. They provide secure mounting for Moroso oil pumps or stock pumps. Kit includes flat washer and hex nut and serrated nut for windage tray.